SAN FRANCISCO--(BUSINESS WIRE)-- Presidio Bank (OTCBB: PDOB), a Bay Area business bank, today announced that it has hired veteran banker, Laureen Cortez, as Senior Vice President/Relationship Manager in the Palo Alto Office. Laureen Cortez has over 25 years’ experience in the banking industry, with particular expertise managing and growing client relationships with small and mid-size companies and financially sophisticated individuals. She most recently worked as SVP/Senior Relationship Manager for Bank of America’s Business Bank division. She was at Bank of America for 17 years, working in the Commercial Banking Group and Private Banking as well as Business Banking. She earned a Bachelor of Science degree from the University of California, Santa Barbara majoring in Business Economics with an emphasis in Finance. She spends considerable free time volunteering at Sacred Heart Schools, Alameda Food Bank and Junior Achievement. 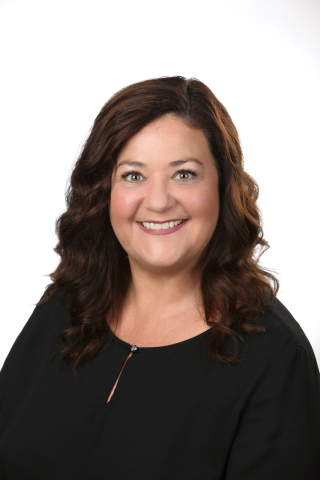 “Laureen brings not only strong market knowledge, but also valuable expertise in credit analysis and wealth management,” said Luke Farley, Presidio Bank Palo Alto Market Manager. Laureen Cortez is located at Presidio Bank’s Palo Alto office located at 325 Lytton Avenue, Suite 100 and her direct phone number is (650)321.1740. Presidio Bank provides business banking services to small and mid-size businesses, including professional service firms, real estate developers and investors, and not-for-profit organizations, and to their owners who desire personalized, responsive service with access to local decision makers. Presidio Bank offers clients the resources of a large bank combined with the personalized services of a neighborhood bank. Presidio Bank is headquartered in San Francisco, California and currently operates five banking offices in San Francisco, Walnut Creek, San Rafael, San Mateo and Palo Alto. More information is available at www.presidiobank.com. Presidio Bank is a member of FDIC and an Equal Housing Lender.